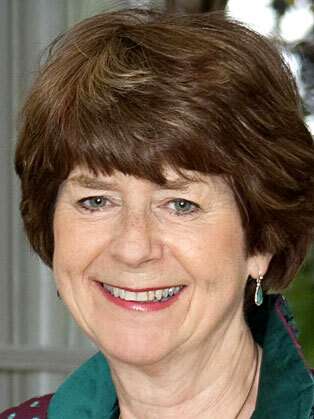 Pam Ayres MBE has been a writer, broadcaster and entertainer for over 35 years. It was November 1975 when Pam made her first TV appearance on the TV talent show, Opportunity Knocks, the “Britain’s Got Talent” TV show of its day, and this proved to be the start of an incredible career for a unique entertainer. Pam Ayres always wanted to be a writer. The youngest of a family of six children, Pam was born in Stanford-in-the-Vale, Berkshire, during the long cold winter of 1947. After leaving school Pam joined the civil service as a clerical assistant, a job in which she soon lost interest, and which prompted her to join the Women’s Royal Air Force. It was while Pam was in the WRAF that she developed her love of singing and acting. On leaving the WRAF Pam set out to achieve her ambition of becoming an entertainer. By this time her poems had become a hobby, written and performed for the local folk club in Oxfordshire, to where she had returned to live and work as a secretary. In 1974, a friend arranged for her to go to the local radio station, BBC Radio Oxford, to read one of her poems. Pam’s first broadcast for Radio Oxford, in 1974, was selected for BBC Radio 4’s Pick of the Week, and subsequently repeated on the 1974 Pick of the Year programme, by which time Radio Oxford had asked Pam to return and recite some more of her poems. In 1975, after much prodding from friends, Pam decided to audition for TV’s Opportunity Knocks. Since then Pam has appeared on many major TV shows in the UK, has had her own TV series, and filmed Christmas TV Specials in Hong Kong and Canada. Pam appeared on the Royal Variety Performance at the London Palladium in 1977, to celebrate HM The Queen’s Silver Jubilee. In October 1996, Pam performed part of her stage show at a Royal Gala Charity Reception at St. James’ Palace, attended by HM The Queen, and she entertained HM The Queen again, in the somewhat less august premises of the Sandringham WI in January 2004. Subsequently, Pam was awarded the MBE in the Queen’s Birthday Honours of 2004. Since 1975 Pam Ayres has sold many millions of books, record albums, CDs, and DVDs. For the past fifteen years Pam has been a regular on BBC Radio. From 1996 until 1999 Pam presented a two-hour music and chat show every Sunday afternoon for Radio 2, followed by two series of PAM AYRES’ Open Road. More recently Pam has become a regular contributor to Radio 4, on such programmes as Just A Minute, Quote Unquote, Loose Ends, and three series of her own Ayres On The Air. Pam Ayres performs her solo show in theatres throughout the UK, performing in excess of 60 concerts a year. She has taken her one-woman show to Ireland, the Middle East, Hong Kong, France, Kenya, Canada, and very regularly to Australia and New Zealand.